Outlook Express Convert to PST – Speaking of Ease! Cost-effective way to read email data of Outlook Express in Outlook. Outlook Express Convert to PST: After the Outlook Express convert to PST need faced by many of you Outlook Express users, DBX Converter was developed. With this tool, you can rest assured that your OE email data information will remain safe and will be safely migrated to PST files as we know that your data is of paramount importance to you. Also, for catching up with the evolving technology, we have made our software compatible with Win7 also. 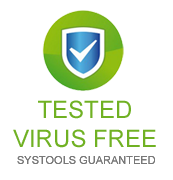 The reliability of our tool is corroborated by the fact that many users entrust it. You can even fathom the efficiency of our product by using the free demo version facility. Outlook Express Convert to PST software is a trustable software because this software proides a testing demo version which avilable free of cost but Our DBX Converter demo version convert only 15 items per folder and you want to convert unlimited DBX files into Outlook PST then order full license verion which avilable only $69 for personal license and $199 bussiness licese.